HONG KONG, April 10, 2019 /PRNewswire/ -- Pearl jewellery collections that give a fresh interpretation to timeless styles have been capturing the hearts of today's younger generation of luxury consumers. "Pearls embody effortless elegance," shares Celine Lau, Director for Jewellery Fairs at UBM Asia, an Informa Plc company. "Rope necklaces, plain stud earrings and multi-strand bracelets are classics that can elevate any look. Women have loved them for generations, and will remain infinitely in style no matter the year or season." Golden South Sea pearl necklace by Eiko Pearl Co Ltd. The pearls measure 11mm to 14mm in diameter. Further boosting the pearl's popularity are edgy updates to classic styles -- inspired fashion-forward designs using baroque, circled and potato pearls -- that appeal to a wider customer base. These collections would likely take centre stage at the 32nd edition of the June Hong Kong Jewellery & Gem Fair, which is scheduled for June 20 to 23 at the Hong Kong Convention & Exhibition Centre (HKCEC). 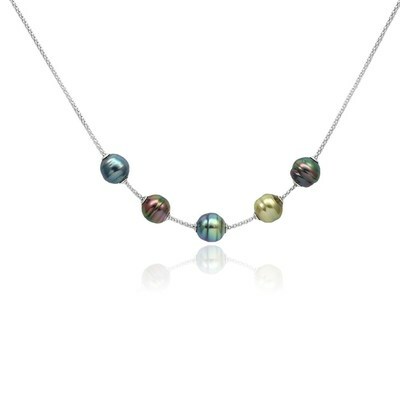 "Professional buyers at the June Fair will be delighted with what our exhibiting partners have in store for them, from cascading pearl necklaces made of exotic Tahitian pearls with peacock overtones to bracelet cuffs set with golden and white South Sea pearls, coloured gemstones and diamonds," Lau adds. "At the same time, we have jewellers and designers who are finding new and unexpected ways of showing off the beauty of pearls, especially baroque and irregularly shaped gems." Sharing her market observations, Ida Wong, general manager of the Tahitian Pearl Association Hong Kong (TPAHK), notes that styles featuring simple pearl jewellery designs with multifunctional elements possess significant mass appeal. Pearl aficionados and serious collectors are likewise partial to sophisticated and personalised designs that could help them express their aesthetics. The June Fair will feature some of the most recognised names in the loose pearl and finished pearl jewellery sector, including major suppliers from mainland China, Europe, French Polynesia, Hong Kong, Japan and the US. Japan-based Eiko Pearl Co Ltd will exhibit loose pearls, select strands and "high-quality necklaces of white and golden South Sea, Tahitian and Japanese Akoya pearls," according to company official Futaba Morishita. Fine Pearl (HK) Ltd will likewise present its extensive range of white and golden South Sea pearls. 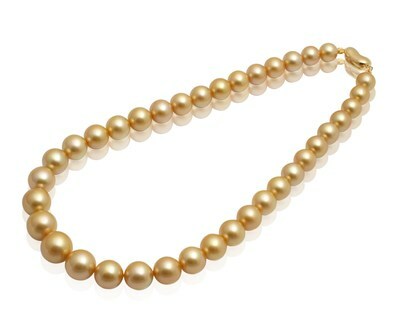 One of the company's attention-grabbing pieces is a South Sea pearl strand made of pearls measuring 11mm in diameter. The subtle colour graduation ranges from champagne hues to deep gold. Amit Trading Co Ltd of Japan said it will be offering saltwater pearls at competitive rates. 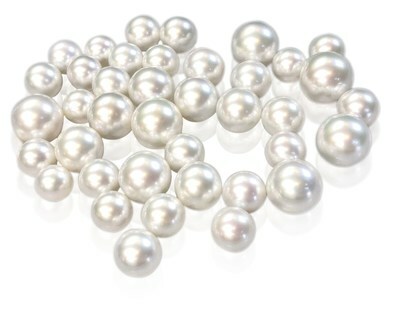 One of its prized lots is a batch of white, round and clean South Sea pearls measuring 10mm to 16mm in diameter. "We also offer great Tahitian and Japanese Akoya products," the dealer adds. The June Fair will feature around 2,000 exhibitors from 38 countries and regions and from a broad cross-section of the industry. It is divided into well-defined theme and group pavilions, spread across 70,000 square metres of exhibition space at the HKCEC.